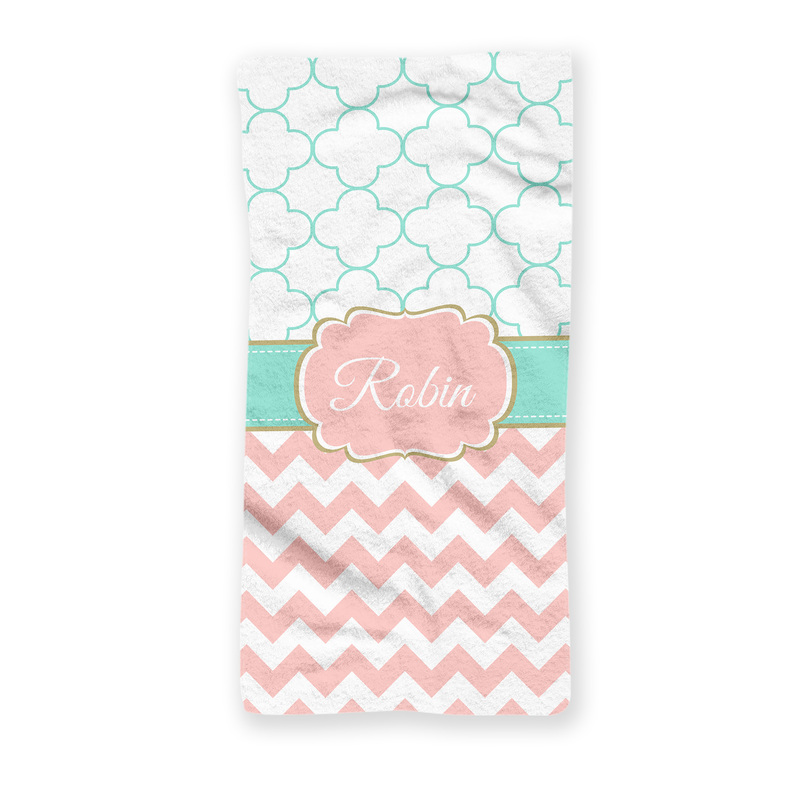 This personalized beach towel features 2 patterns in your choice of colors. Chevron on the bottom and a petals print on the top. Make your trip to the beach or pool extra special with your very own personalized beach towel. 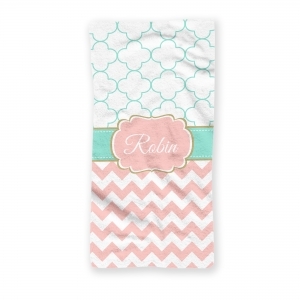 Our bath/beach towels are a softened cotton/polyester blend and machine washable.